Q: What is more important than hard work? Malcolm Gladwell made that very clear in his 2011 bestseller “Outliers,” where he popularized the concept that is now known as the 10,000-hour rule. In case you are wondering, that was Michael Jordan. MJ was famous for his consistency, perseverance, and grit throughout his entire career. Not only did he spend an enormous amount of his free time working on his craft, but perhaps more importantly, he invested the majority of that time working on the basics (work-outs, free throws, etc.). It is very hard to argue with someone like that about the power of fundamentals. Speaking of MJs, sports is not the only field where practice makes perfect. Michael Jackson was notoriously obsessed with his dance routines. To improve his signature fluidity and technique, he habitually repeated the same “standard” moves for hours on end, until he would literally collapse from exhaustion. Writers are similar. The likes of Ernest Hemingway and Stephen King made it a habit to write as many as 2000 words a day. Talk about dedication! The list goes on, but you get the idea. Although you may be wondering: why do these highly successful people seemingly waste their time with such tedious tasks? Are they not “better” than that? Wouldn’t their precious time be better spent working on more advanced concepts, matching their great talent? These are fair questions, although the unstated assumption behind that is that fundamentals and success are uncorrelated. On the contrary, the exact opposite seems to be true. Not only are these mundane tasks not as wasteful as one might think at first glance, they may very well be the core of what makes these legends great to begin with. Thus, we should seriously consider applying these tested methods in other domains of life, especially ones which are relatively new. This brings us to (winning) poker. Very much like any other learned skill, poker has its own set of fundamentals that we need to constantly prioritize over other fancier and more refined techniques. If we want to be successful, perhaps we need to think like MJ and make sure we are done shooting “free throws” for the day before moving on to more elaborate tasks. Upswing coach Ryan Fee has a nice metaphor to describe this idea. He visualizes poker as a tree that bears each opportunity (for profitability) as a fruit. Of course, not all fruits are equally accessible and valuable. At the bottom of the tree we have the “low-hanging fruit,” namely fundamental concepts that are easy to learn and very important to understand. These are things like pot odds, pre-flop hand selection, c-bet strategies, etc. Next, there are the “mid-hanging fruit,” i.e. concepts that are tougher to grasp and less consequential than the low-hanging fruit. Things like blockers and basic balancing strategies fall under this category. Finally, there are those isolated and often thorn protected “high-hanging fruit” which are not only hard to reach, but may also hurt us in the process of trying to get them. These are the most elaborate and subtle game theory concepts (bluff-to-value ratios, minimum defense frequency, optimal balancing, etc). If used properly, these strategies will give us a relatively small win-rate boost, but, if used improperly, they will be very costly. One will usually gain more profitability from the low-hanging fruit as from higher ones. In other words, one shouldn’t spend time studying complex concepts without first nailing down their fundamentals. Sure, we can eventually attempt to get all the fruit within our grasp, but it does not hurt to do that in order of convenience. On the contrary, it may help us speed up the process. 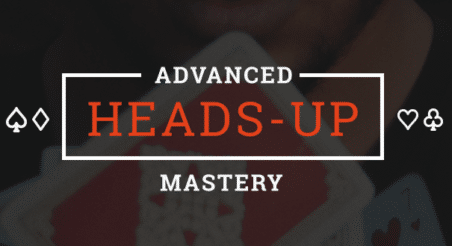 Learn exactly what world-class pros would teach their younger selves about poker in the Upswing Lab. Bedrock: Elementary, not dissectible further. Foundation of more complex concepts. Ample: It shows up in practice at all levels and in high frequency. Simple: It is rather easy to describe (although potentially hard to perfect). Efficient: When used properly, it will lead to profitability. These words form the acronym B.A.S.E. which is rather handy. Without further ado, here are some concepts that fit the profile. The “Trifecta” refers to three very basic but also very important pre-flop metrics: Initiative, Position and Range Advantage. Initiative is assigned to the last pre-flop aggressor. Position is assigned to the person who is last to play post-flop. Range Advantage is assigned to the person who has the strongest range (not necessarily the strongest hand). These are elementary topics that have been analyzed extensively, so I do not want to go over them in too much detail here. What is fundamentally important about the Trifecta, however, is that it can be roughly viewed as a point system. Each player “scores” 0-3 points before the flop depending on how many pieces of the Trifecta they control. This creates a quick and rather accurate evaluation of long-term advantage moving to the flop. For instance, if Alice isolates 3 limpers on the BTN with A♣ 5♣, she controls the entire Trifecta (3/3 points), while if she opens in middle position (with the same hand: A♣ 5♣) and gets called by a player in position, she no longer has position and likely no Range Advantage either (thus, only 1/3 points). All else being equal (including skill), the player with the highest score is usually (but not always) at an advantage. These are what I call innate properties of the game. Not unlike chess, where the person with the white pieces has an in-a-vacuum mathematical advantage, the poker player in control of the Trifecta has a similar innate advantage. The claim here is that, in the long run, those players with the Trifecta profit over those without it. This is to some extent intuitive, as having a strong hand on the button and playing it aggressively is almost always a recipe for success, while limp/calling with – say – 57o from UTG is a recipe for disaster. You always have the button. On average, you are always dealt better cards than your opponents (more likely to get an A, for example). And you are the only one who is allowed to raise pre-flop. Q2: Would you play HU versus anyone who has the full Trifecta pre-flop against you? If so, whom? There are many ways to lose in NL Hold’em! As a matter of fact, every single style can be a losing one (Loose, Tight, Aggressive, Passive and everything in between). Unfortunately, as the data suggest, the opposite is not true. For instance, one does not stand a chance at winning in most games unless they are aggressive (namely favoring betting and raising over calling and checking). This is her way of summarizing the following intuitive principle: If there is a good reason to be in the pot, she should fight tooth and nail to extract maximum chips from her opponents. Otherwise, it is likely time for her to abandon ship. The quicker, the better. Of course, there are exceptions to the rule and there is a time and place for those too. However, the fact is that, unless Alice is playing at a game she should not be, she is rarely involved in a hand over which she has no control. Drop any questions for Dr. Duncan in the comments section below! Shaun Densmore turned a $7.50 buy-in into $94,901 after studying in the Lab. What will you accomplish? Duncan is a math professor from UCLA who specializes in the mathematics of poker, as well as in poker education. He currently teaches poker classes at UCLA extension that always fill up early and have long waitlists. He also authored a poker book - contracted to be published by 2020 - where he uses simple language to scientifically explain how and why money flows from poker amateurs to professionals.